Lima is home to five above ground reservoirs. 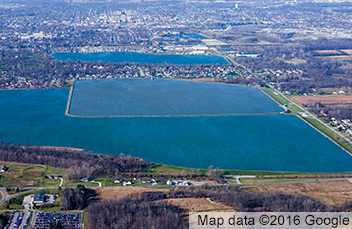 Lima is home to five above ground reservoirs that supply raw water from the Ottawa and Auglaize rivers to The Lima Water Treatment Plant. Water from two area rivers supply the reservoirs, which collectively house more than 14 billion gallons of water. Our Reservoirs are upground reservoirs, meaning water is pumped in from the river. 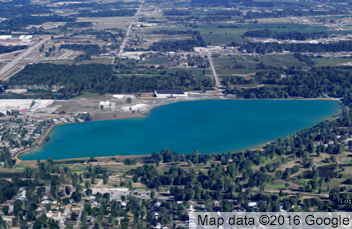 Lima’s first reservoir, Metzger Reservoir, was built in 1946 by the City of Lima as a municipal water supply. The most recent reservoir is Williams Reservoir, which has the largest capacity, and is located on the West side of Lima. 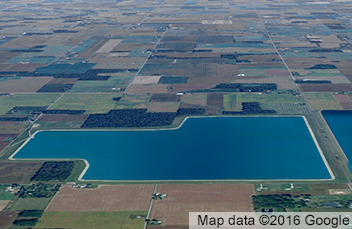 The purpose of the reservoirs is to provide water to the City of Lima, low flow augmentation to the Ottawa and Auglaize River, and provide water for agricultural uses. Many of the reservoirs are also used for recreation such as boating, bird watching and walking. Ferguson and Metzger reservoirs are upground reservoirs supplied by the Ottawa River. Lost Creek Reservoir is an upground reservoir supplied by the Ottawa River. Upground reservoirs are constructed by building high dikes on a relatively flat terrain to hold water. Lost Creek is located near the Lost Creek subdivision, and the Lost Creek Golf Course. 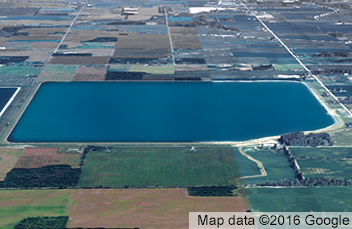 Bresler Reservoir is an upground reservoir supplied by the Auglaize River. Construction was completed in 1970 and filled during 1971. The reservoir provides water to the city of Lima, augments the Auglaize River, and water for agricultural uses and recreation. Williams is an upground reservoir supplied by the Auglaize River. Construction was completed in 2012 and filled during 2013. The reservoir provides water to the city of Lima, augments the Auglaize River, and water for agricultural uses and recreation.